This page contains pictures and information about Broad Headed Bugs in family Alydidae that we found in the Brisbane area, Queensland, Australia. 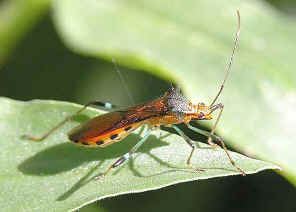 Alydids have large broad triangular head, nearly as wide as the thorax. They are usually brown in colour. Their bodies are relatively slender. 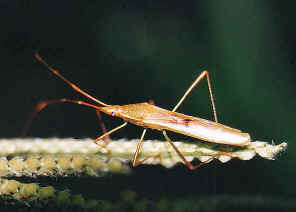 They have long 4-segmented antenna and long legs. Some of them feed on fallen pods from Acacia trees and pods of other trees. Most species with their nymphs mimic ants. 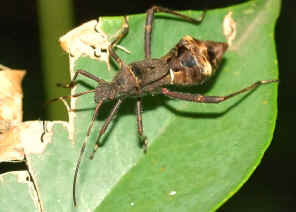 This Pod-Sucking Bug is brown in colour with yellow lines along body and has strong spiny hind legs. 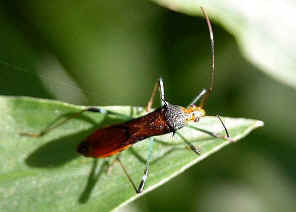 Its body is slim and narrower in the middle, with a sharp spine on each side of the thorax. 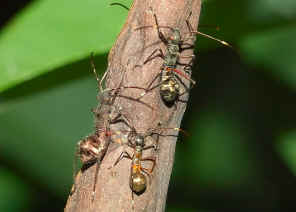 Young instars mimic ants. We have detail information in this page. 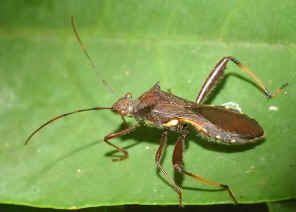 Melanacanthus scutellaris, subfamily Alydinae, tribe Alydini, body length 12mm. 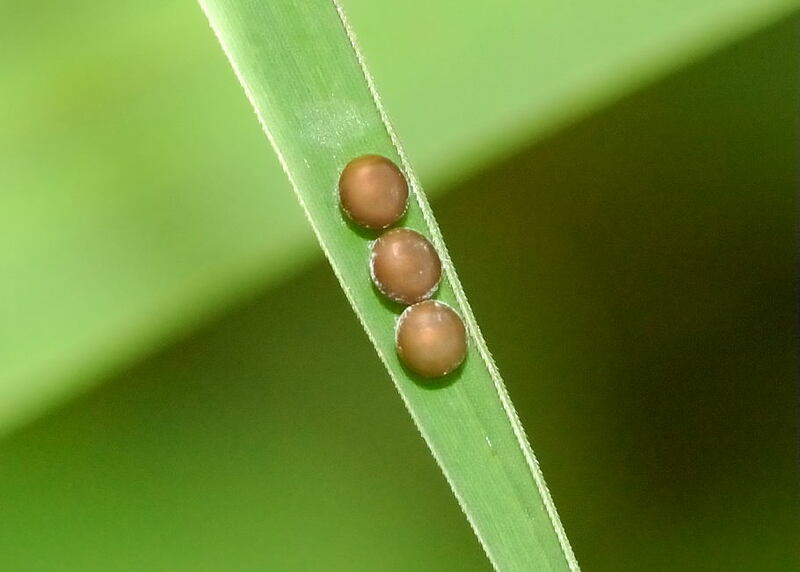 The Small Brown Bean Bugs have the elongated body and brown in colour. They have spiny hind legs. Males have a pale patch in the scutellum. 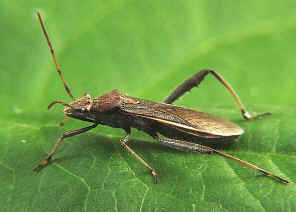 As the Riptortus sp. they also have the spins on shoulder but much smaller. Please check this page for more information. We found a few of this bugs along Bulimba Creek in Brisbane during summer season. 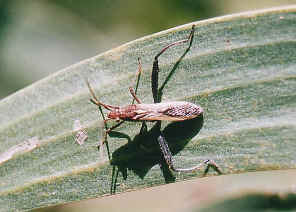 The bugs are pale yellow-brown in colour, with long slender body. They feed on grass, and are pest of rice. More information and pictures please click on here. This bugs was found in Yugarapul Park during early summer. The bug has yellow and pink colours on abdomen with black bars on both sides. Its legs are green in colour. There are spins on its thorax. 2. 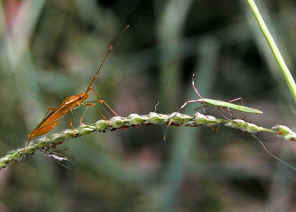 Alydidae, Bean bugs, Broad-headed bugs - Discover Life, 2008. 3. Family ALYDIDAE - Australian Faunal Directory, Australian Biological Resources Study. Last updated: September 02, 2010.